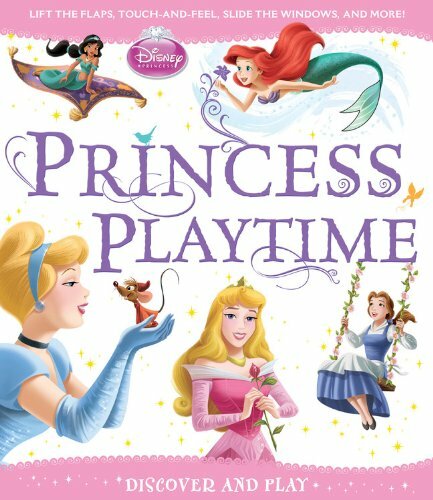 Little princesses will love all the different elements in this enchanting Disney Princess novelty book. They can touch the smooth, soft, and bristly treasures that Ariel discovers in the ocean, lift-the-flaps to see who's at Belle's tea party, slide the windows to help Cinderella find her friends in a game of hide-and-seek, and much, much more! With five spreads full of exciting tactile components, readers will never tire of exploring all this book has to offer! About Disney Book Group (Author) : Disney Book Group is a published author of children's books. A published credit of Disney Book Group is Cars: Faster than Fast.